We recently went out with a charming couple who were trying to decide whether to live, work and raise their family in leafy Bucks or in the Texan Deep South. Our client, a well-respected academic, had the opportunity to work for highly respected universities in London or Austin and was doing his research accordingly. The couple were visiting for just a few days to weigh up the pros and cons and with such dramatic differences in lifestyles between the two, it was up to Chiltern Relocation to show Bucks at its best. Our client had chosen this area rather than central London due to a number of factors: the ease of commuting into Marylebone, getting more house for your money, a decent sized garden, excellent local schooling and the access to green space. We were also keen to point out that the quick access to London would be of great benefit for the whole family culturally giving them the opportunity to visit some of the world’s best museums, art galleries and theatres on their doorstep. Our tour started in Beaconsfield where we showed the couple a range of rental options within catchment of great schooling, the farmers market and the historic old town and the vibrant new town. We then drove through Seer Green, a charming village with a train station on the Chiltern mainline with and a great village feel. Our tour also took in Chalfont St Giles where we stopped to enjoy a coffee on the green and watch a local event being staged there. This is a much sought after village due to its community feel, its High Street with fabulous independent retailers and the excellent primary school. The village also hosts the annual Chalfont St Giles Show which rivals many of the larger shows in the county. From there we visited the neighbouring village of Chalfont St Peter with its large sports centre and then onto Amersham. 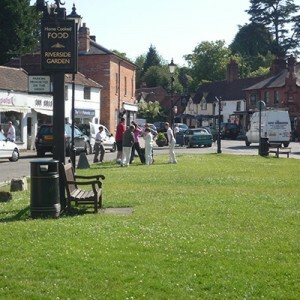 Here we viewed a number of rental opportunities in the old and new towns of Amersham which are situated a mile apart. 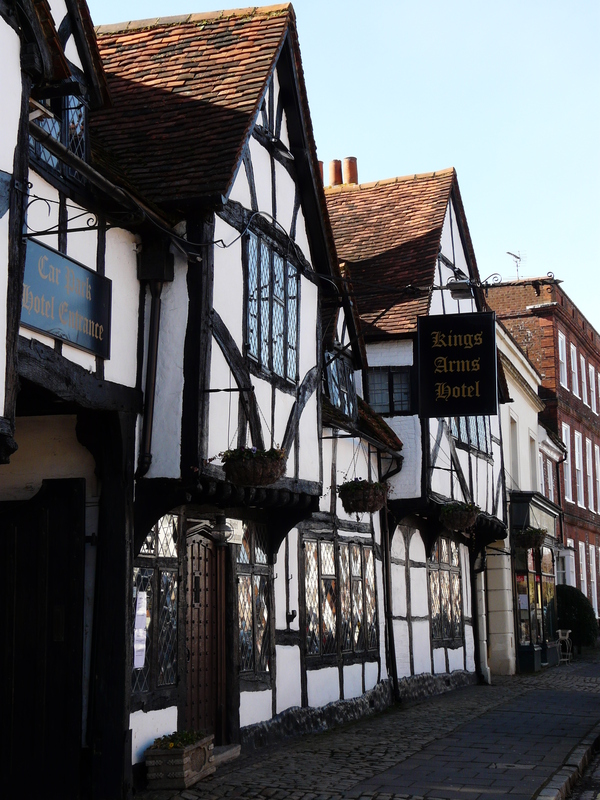 Often used as a film location, Old Amersham is the epitome of a quaint British town. Timbered buildings line the wide sweeping High Street which boasts fabulous cafes, delis, antique shops and historic ale houses. The weekend market was in full swing with artisan bakers and local cheese producers amongst others tempting us with their goods. If the couple were looking for something typically British this was it. Schooling options in Amersham are also excellent with the outstanding rated Chestnut Lane Primary School and the highly regarded Dr Challoner’s Grammar Schools. Commuters have the best of both worlds with a choice between the Metropolitan tube line into central London or the over ground train into Marylebone. One thing we could not of course showcase was the British weather, it was a chilly damp November day, which cannot of course compete with the sunny but often searing heat of Texas. However, this did not dampen their spirits as they took on all the benefits that Bucks has to offer, the prestige of working for a top London university, their children experiencing British culture and schooling and having the rest of Europe on the doorstep to explore. We love our Orientation Days and meeting clients in these situations gives us an opportunity to really show so much that is on offer in Bucks. Choosing Bucks or Texas is not an easy decision to make but we are confident that the couple left with a very positive experience of beautiful Bucks! The family revisited and we found them a home, school and helped them settle in. In the end the location for the family to visit Europe was the influencing factor in the decision.